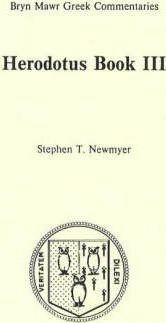 Two book set: individual Commentary and Text. Bryn Mawr Commentaries have been admired and used by Greek and Latin teachers at every level for twenty years. They provide clear, concise, accurate, and consistent support for students making the transition from introductory and intermediate texts to the direct experience of ancient literature. They assume that the student will know the basics of grammar and vocabulary and then provide the specific grammatical and lexical notes that a student requires to begin the task of interpretation. The volumes in the series are modestly priced and remain in print indefinitely. The text in each volume is in either the original Greek or Latin, with grammatical and lexical commentary in English.